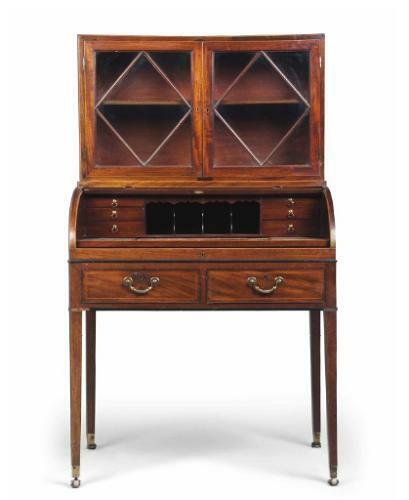 A Late George III Mahogany and Ebonised Writing-Table Cabinet. The upper section with a pair of astragal glazed doors enclosing a shelf, the tambour front with fitted interior, a pull out slide to either side, above two line-inlaid drawers. The legs are square and tapering and finish on raised brass toes with brass castors.